These raw blueberry tarts are based on a recipe I created a little while ago for a raw strawberry tart with white chocolate cream which you can check out here. Every time I’ve made that strawberry tart people are stunned at how delicious it tastes “for a raw dessert” and exclaim “you’d never know this was raw!”. Which kinda makes it sound like raw desserts have a bad rep, but I think what they really mean is they can’t believe something so healthy tastes SO good. At least that’s what I hope they mean…. 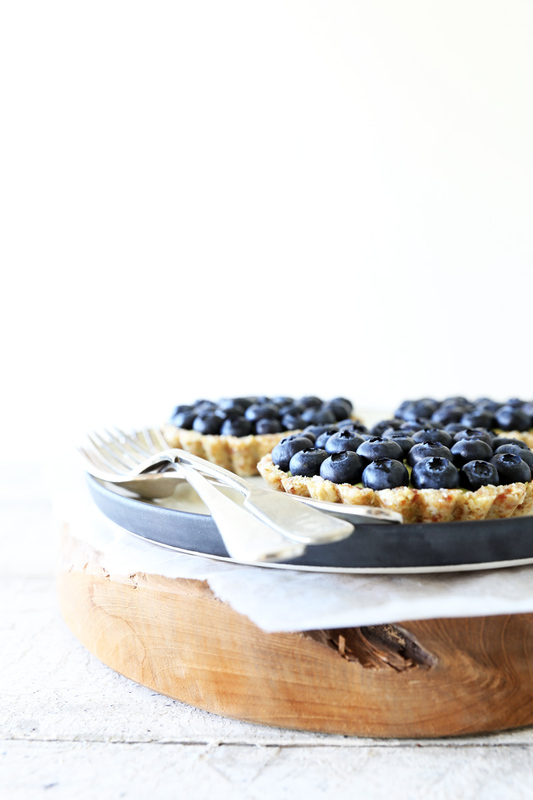 Either way, these raw blueberry tarts are definitely no exception. 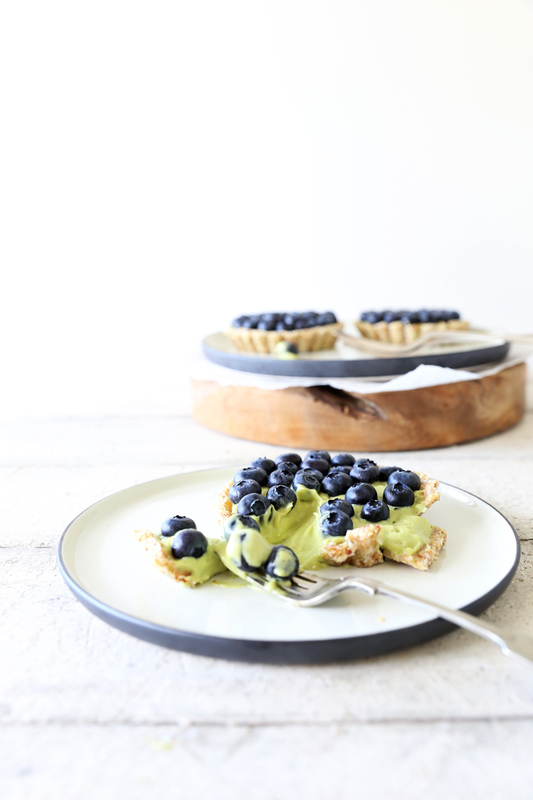 I love the combination of blueberries and fresh limes, so for the filling of these tarts I created a Tahitian lime cream (since we mainly have the Tahitian lime variety in New Zealand). Unlike the raw strawberry tart however, this cream filling is not made with cashew nuts. Instead, it has a secret ingredient which is packed with anti-oxidants and healthy fats, and creates a super smooth and creamy texture…. the mighty avocado! 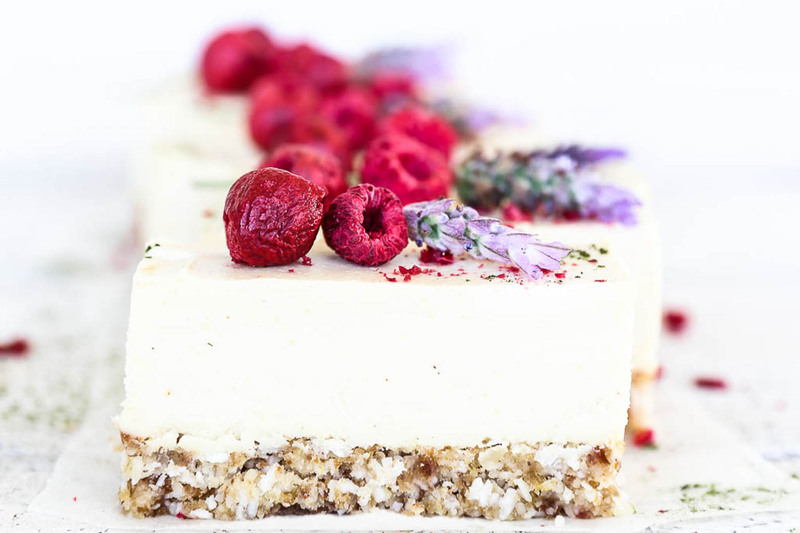 If you often make raw desserts you’ll most likely have seen a few avocado lime mousse recipes floating about. Avocados and limes make perfect sense as avocados are lovely and creamy (and green) which combines perfectly with sweet, zesty lime juice. Of course I wanted to try my hand at creating an avocado lime mousse recipe and the result was even better than I expected! 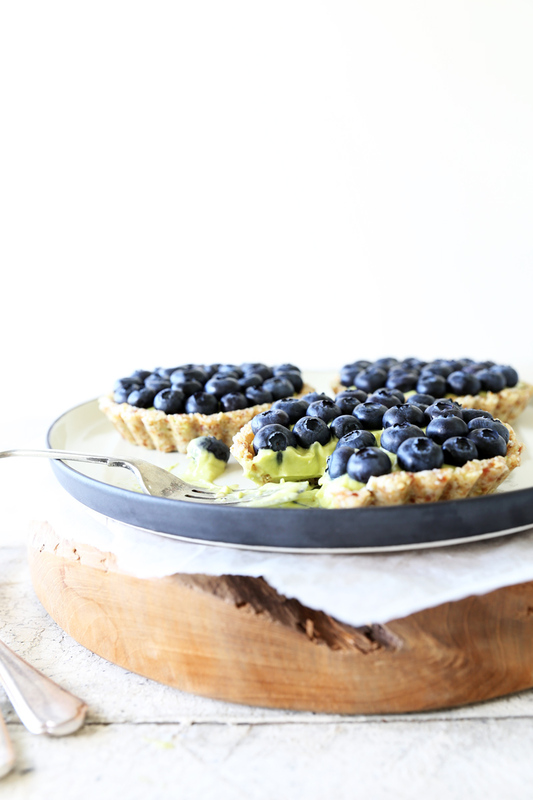 In fact this avocado lime mousse is so good I’m going to have to give it it’s own post, but for now it goes amazingly well in these raw blueberry tarts. 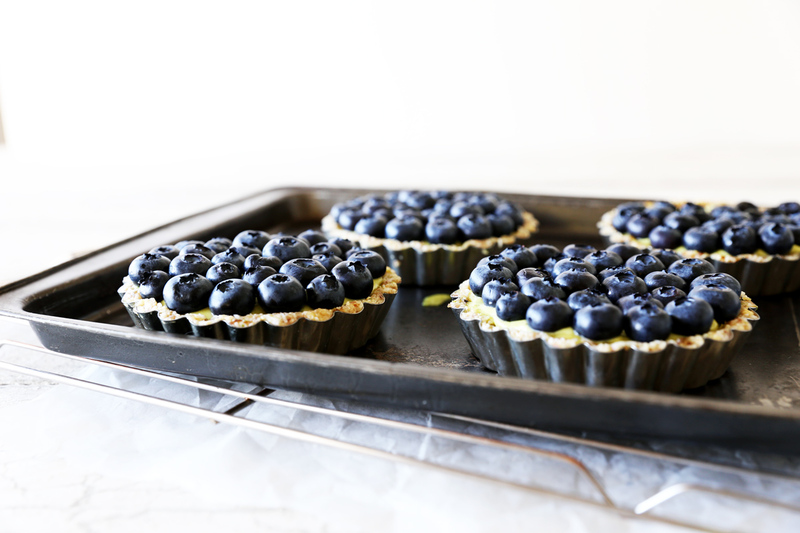 The base of these tarts is an almond, brazil, coconut and date combination which goes perfectly with the limes and fresh blueberries, creating a beautifully creamy, sweet, yet zesty, raw blueberry tart. I made these tarts as four individuals but you could easily make it as one large tart and cut it into slices. 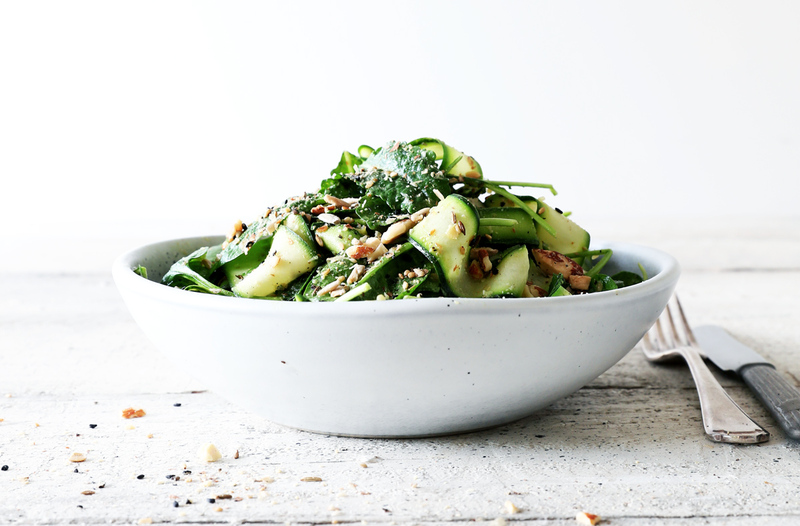 This recipe is also super easy (as always), requiring just a blender and food processor. And if blueberries aren’t in season, feel free to sub in any fresh fruit of your choice. Enjoy! To make the base, gently melt the coconut oil by placing in a heatproof bowl set over a pan of steaming water with the heat turned off. 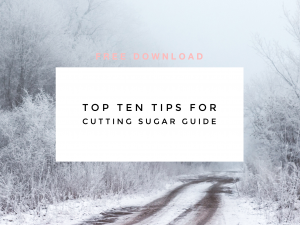 Place the coconut, almonds, brazil nuts and salt into a food processor and blend until the mixture looks like chunky crumbs. Add the medjool dates (be sure to remove the pitts!) and blend until well combined. Lastly add the melted coconut oil while the motor is running. Press the base mixture evenly into a 26cm (or 6 x 10cm) flan tin(s) with removable base(s), and work it up the sides to create an even shell. Place in the fridge to set. 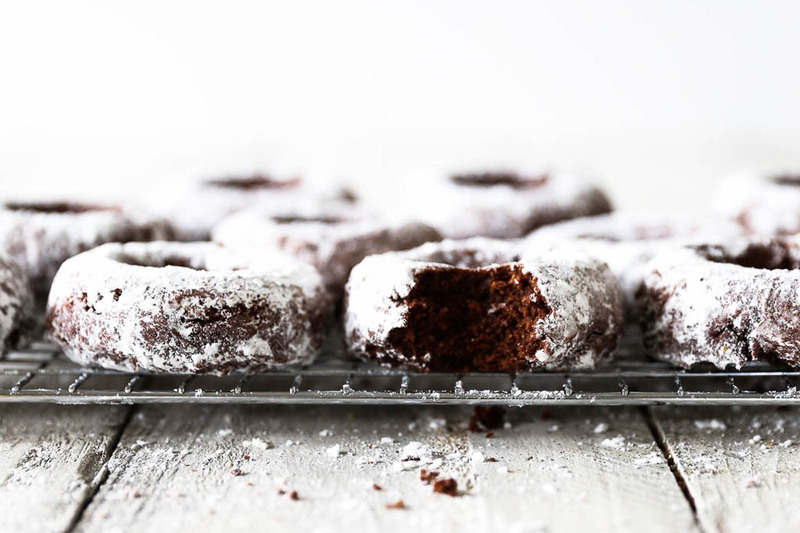 Note: you shouldn’t need to grease or line the tin(s) as there is enough coconut oil in the base mixture to allow for easy removal once set. To make the Tahitian lime cream, gently melt the coconut oil using the method above. Place the avocados (skins and stones removed) into a high speed blender (e.g. Vitamix/Blendtec) with the pure maple or rice syrup, lime juice and sea salt, blend until smooth. You may need to use your blender stick to ensure it’s evenly blended. When the mixture is smooth, add the melted coconut oil and blend until combined and you have a smooth thick cream. Pour the lime cream into the tart base, smooth with a spatula and place in the freezer to firm up for approximately 20 minutes. You could also use the fridge for this, but it will take longer. When the lime mousse is firm enough to hold the blueberries, remove from the freezer and pop it out of the tart tin(s) onto a serving plate. Prepare the blueberries by washing thoroughly, and patting dry. Arrange the blueberries on top of the lime cream with as few gaps as possible. Return the finished tart to the fridge until ready to serve. This raw blueberry tart will keep covered in the fridge for up to 5 days, and in the freezer for 1 month.